Along similar lines to the Ouya Android open source gaming console we have featured here on Geeky Gadgets, PlayJam has created a new style of TV games console called the PlayStick which has started in journey on the Kickstarter website this week. 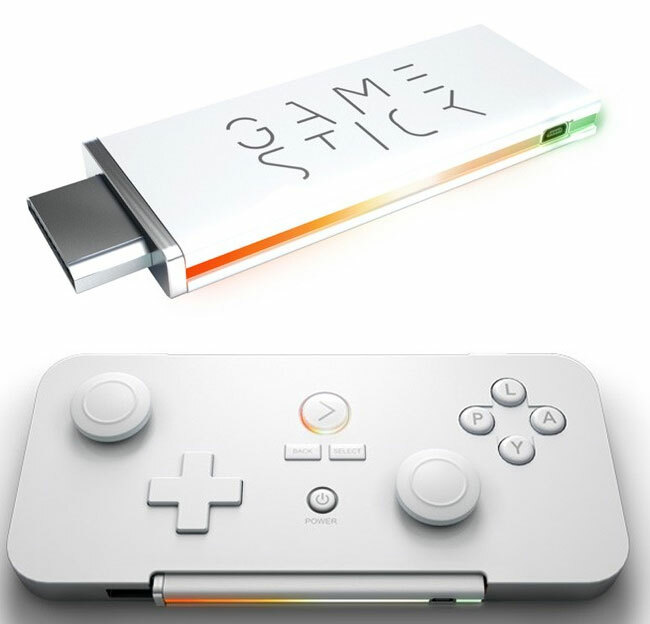 The GameStick has been designed to provide a powerful yet small, dedicated games console that plugs directly into a TV’s HDMI slot and comes with a fully featured Bluetooth controller. For transport the two combine devices into a single unit, putting big screen gaming right into the pocket, as is also compatible with other Bluetooth controllers enabling true multi-player functionality. The PlayStick project is currently over on the Kickstarter website looking to raise enough pledges to make the jump from concept to production. So if you think PlayStick is something you could benefit from, visit the Kickstarter website now to make a pledge and help PlayStick become a reality.